[J Mark Lytle writes]: AOL will unveil a revamped video portal this week, the latest move by a major Internet company to strengthen its position in this very competitive market. 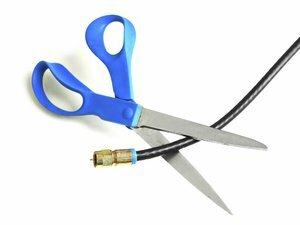 The centerpiece of the upgraded portal will be a lineup of more than 45 video-on-demand channels with a mix of free and fee-based clips, the Dulles, Virginia, Internet service provider plans to announce on Monday. People will be able to scan the channels' "thousands of hours of videos" using a new interactive programming guide, an AOL spokeswoman said. Derik's Thoughts: Hey, why stop at ripping off Digg? Let's go after YouTube. What's next to copy instead of innovating? The channels will feature videos from a variety of AOL partners, including A&E, MTV, Turner's TNT and TBS, and Warner Bros. Entertainment. The portal will go live at the latest by Friday in beta, or test, form at www.aolvideo.com, and it will be launched in final form in August, she said. It will also feature a prominent link to AOL's video-sharing site UnCut, she said. AOL and other Internet companies such as Google and Yahoo have been busy lately beefing up their online video portals, search engines and stores as demand for this type of content has increased dramatically in the past year. Yahoo and Google recently outfitted their respective video sites with the features popularized by startup YouTube, which has become one of the web's most popular destinations. Millions of people visit YouTube.com to view, upload and share mostly amateur videos. Google also recently began to stream for free some premium videos on Google Video that are normally fee-based, accompanying them with ads. The move is meant to increase traffic to the site. For AOL, which is changing from a subscription-based business model to an advertising-based model, having a well-trafficked video site is essential. AOL must attract a critical mass of people to AOL Video for its advertising-based strategy to succeed.